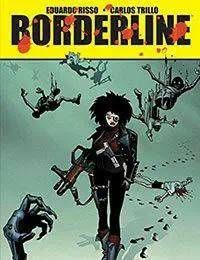 Originally published in Italy, Borderline is a 600-page epic created by Risso and writer Chris Trillo. Described by Harvey and Eisner Award-winning creator Risso as a sci-fi, post-apocalyptic story that openly shows the miseries and kindness of Humankind, Borderline is available for the first time in English from Dynamite Entertainment! Foreword by writer and collaborator Brian Azzarello!